We had a lot of naucorids in Arizona, so these seem like a perfectly normal thing to find in a pond to me. What I’m not used to seeing is a pale green bug with crazy red demon eyes! When the light hit the eyes just right, they even glowed a little, which made them downright creepy. This insect is, I’m told, also one of the most painful of the aquatic insects you can be bitten by, which adds to the creepy factor of the red eyes. I figured I should include at least one thing that wasn’t an insect here because so many other things belong to the pond’s ecosystem. Duckweed is one productive little plant! A few tiny little plants is all it takes to start forming a dense mat that can eventually cover the entire surface of a pond. There’s not that much duckweed on the Prairie Ridge pond yet, but it’s going to be interesting to see how much of the surface is eventually covered this summer. I can’t help but love duckweed though! It’s one of the smallest flowering plants in the world, just a little cluster of tiny bright green leaves attached to a root system. 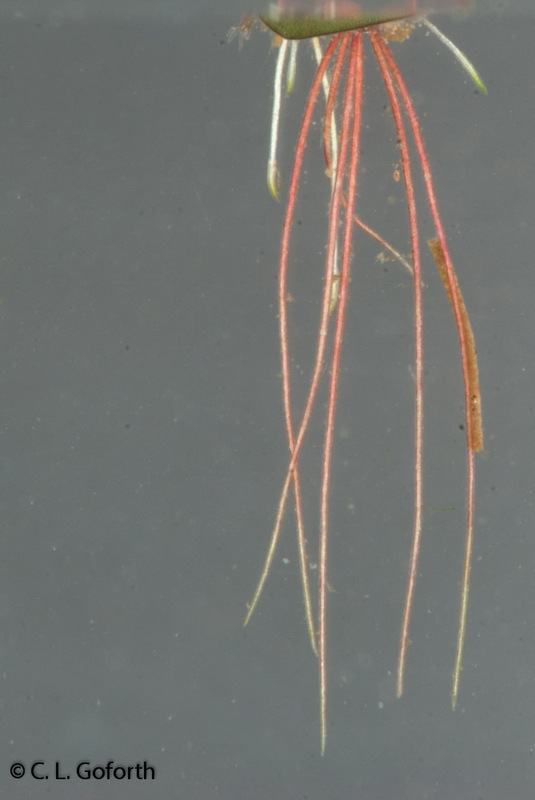 The whole plant floats on the surface of the water with the roots dangling below in the water, as you see in the photo above. It’s an adorable little plant. I can only imagine that these are called phantom midges because they are so darned hard to see in the water! 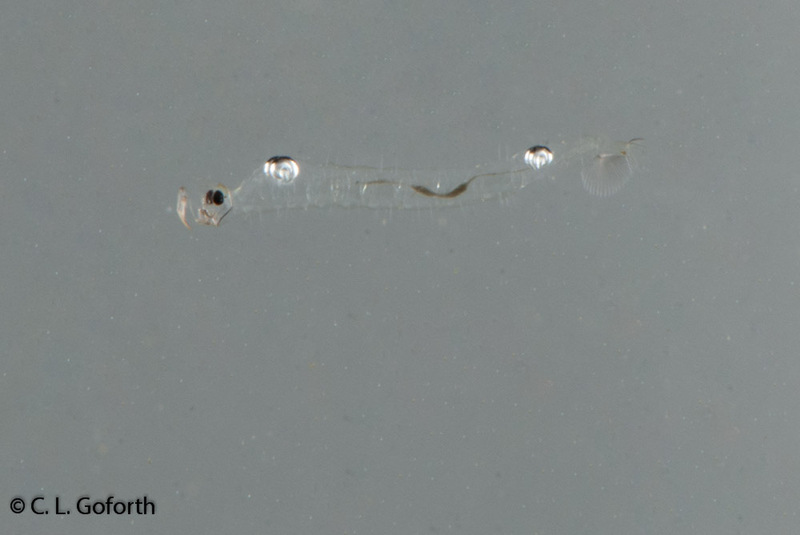 This larva was absolutely transparent except for the big air bubbles you can see inside the larva in the photo and the tiny black marks. It was nearly impossible to see in the bucket and every time I lost track of it I had to spend several minutes staring into the water to see it again. Phantom midges are cool looking insects, but they’re also one of the few insects that live out in the open water of ponds and lakes. 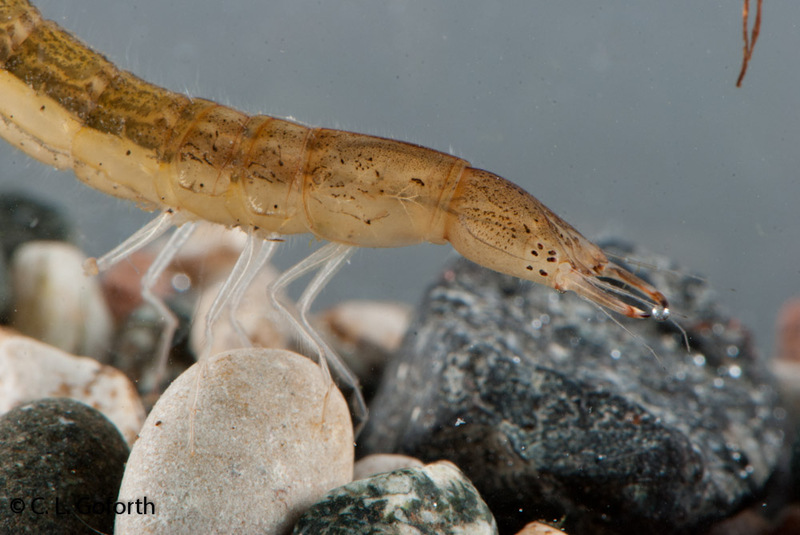 Most aquatic insects in ponds are found on the bottom or close to the shoreline (in the littoral zone) , but these are often found swimming about right out in the open water. They move up and down in the water column by adjusting the air in those little air sacs and avoid predation by hiding near the bottom during the day and coming up to the surface to hunt with their prehensile antennae at night. 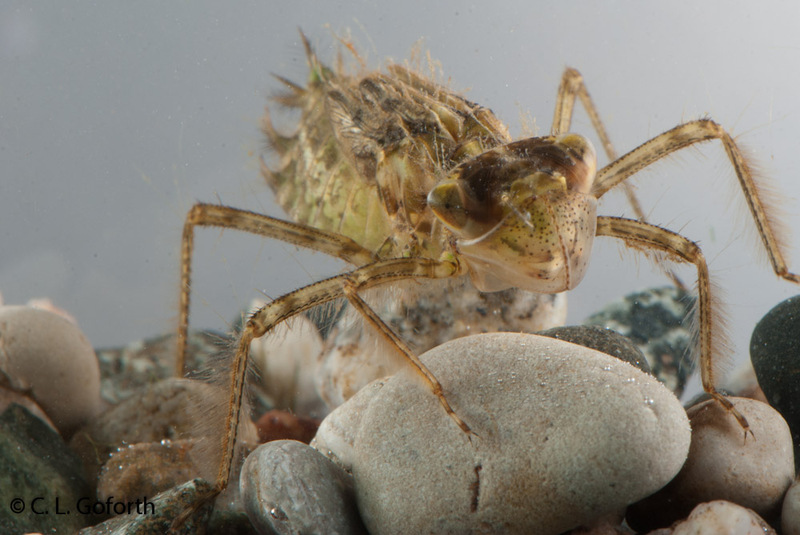 If that’s not the coolest aquatic insect, I’m not sure what is! And this was the very first one I’ve ever seen. I couldn’t have been happier to find it! That’s a tiny taste of what’s living in the pond down the hill. I’ll be down there doing programs throughout the year, so it will be interesting to see how the populations change over time and how shifts in the dominant species occur. And, it’s only a 3 minute walk! I had to drive at least 30 minutes to get to any sort of habitable water in Arizona, so having a pond so close is a dream come true. And someday I’ll get down into the creek too. I’ll let you know what I find when I do! Awesome photos, as usual – especially that phantom midge larva – very cool! Ha ha! There is a good chance some comment of that sort might be made at some point. Very interesting, especially the phantom larva. I think the phantom midges are absolutely fascinating! They look cool and they have cool behaviors. What’s not to love? Wonderful blog, Christine. I recently visited Prairie Ridge for the first time to learn odes and it was awesome. I am a better botanist than oder and if you were curious your duckweed is most likely Spirodela polyrrhiza, especially if it came from the larger of the two ponds. It is very common there. Thank you so much for the duckweed ID, and yes, it was in the large pond. So glad you liked the odes there too. I think they’re amazing! The first time I saw a comet darner – oh! My heart skipped a beat, it was that beautiful! Perhaps I’ll see you around if you come back to Prairie Ridge too. I consider myself incredibly lucky to be working there. I liked your blog a lot and I don’t like insects. lol. I invite you to visit my blog. That’s what I like to hear! And I’ll check out your blog as soon as I have a chance. I’ve got a lot of things on my plate at the moment, but I’ll add it to the list. I love duckweed–as small as they are, they have at least one leaf mining fly. The one I found pupated in the leaf, but the adult escaped before I got to see it. Yep, insects live just about everywhere, which is part of what makes them so wonderful. Someday I would absolutely love to see one of the ephydrids that live in “pools of petroleum” that I keep passing over in the Merritt, Cummins, and Berg aquatic insect book. How cool would that be?! But leafmining flies are pretty darned cool too. Too bad you didn’t get to see the adult! 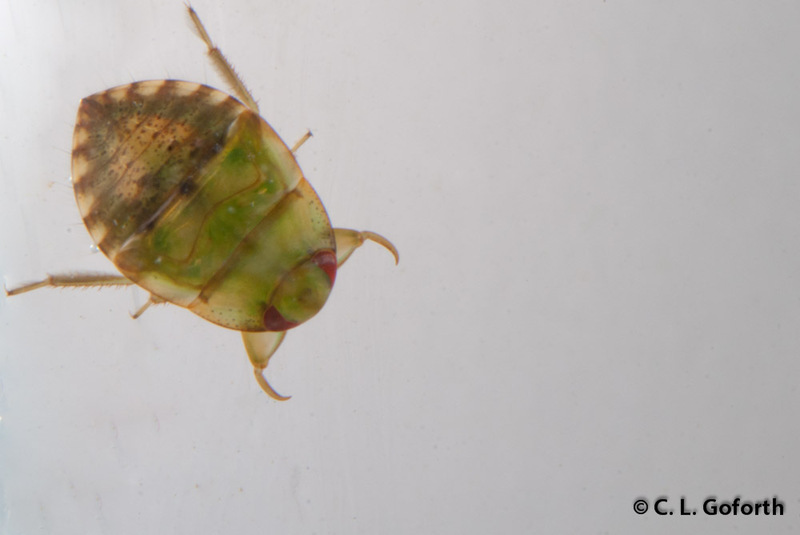 I love the clarity of the images you captured of these aquatic insects… I would love to learn how to do that. In that case, I’ll do a post about the method I’ve been using sometime! I modified a technique another photographer at Bug Shot described to me last year and I am pleased with the results. I have a few more things I want to try the next time I have some bugs to practice with, but if they work I’ll write a post about it so you can see what I’m doing. That would be wonderful. I have aspirations of attending BugShot one of these years… but for now, I’ll have to settle on gleaning what I can from cyberspace. Cyberspace provides a lot of information at least! And I hope you get to go to Bug Shot someday too. It’s really fun! This is awesome! I’m amazed you spotted some of these. I love thinking about how much biodiversity there is in unexpected places. Ponds have a lot of diversity! And aquatic insects live in some downright crazy places too.